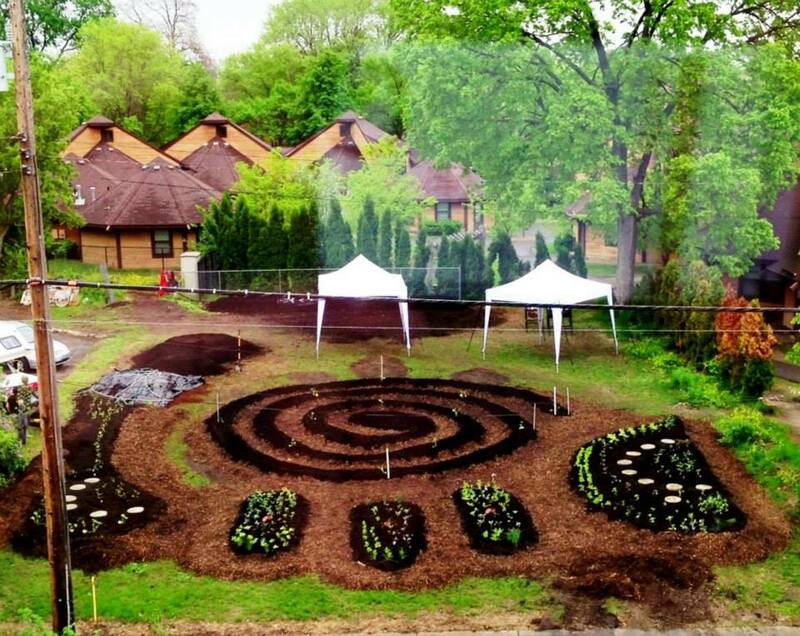 The Mashkiiki Gitigan (Ojibway for “medicine garden”) was the brain child of the 24th Street Urban farm Coalition, a group of staff members from local non-profit health and human service organizations that includes the Indian Health Board, Waite House, Native American Community Clinic, Indigenous People’s Task Force, Women’s Environmental Institute, Dream of Wild Health and the Ventura Village Neighborhood Association. 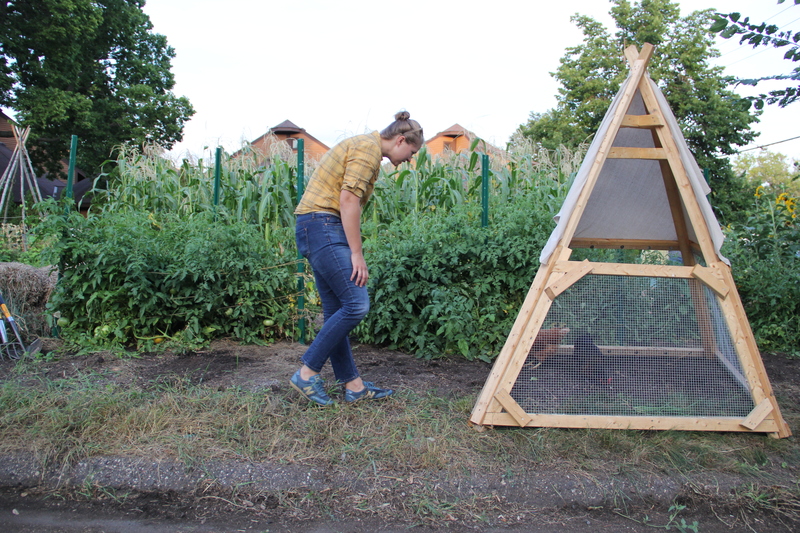 Minnesota House Representative Karen Clark, a resident in the neighborhood, originally convened some of the initial partners to create the 24th St Coalition in order to discuss the potential for urban agriculture. 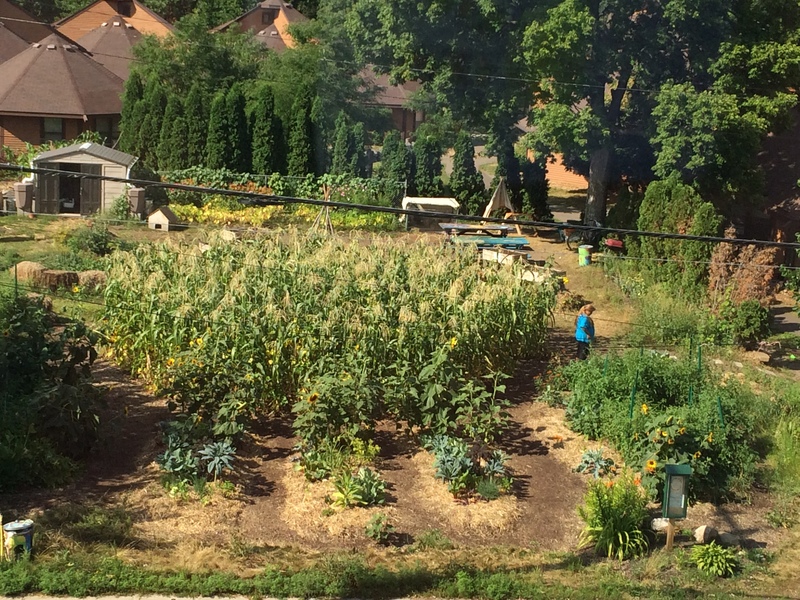 The coalition has been meeting for three years to discuss ways to address food security issues in the Philips neighborhood of Minneapolis, where the garden is located. 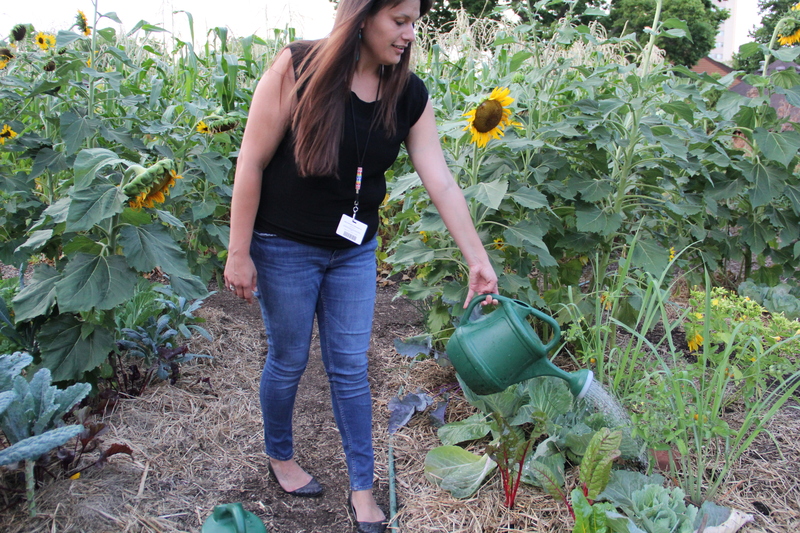 The garden is housed in a formerly vacant lot owned by the Indian Health Board (IHB), who also provides the space for the 24th St Coalition to hold their monthly meetings and provides an office space for the farmers. 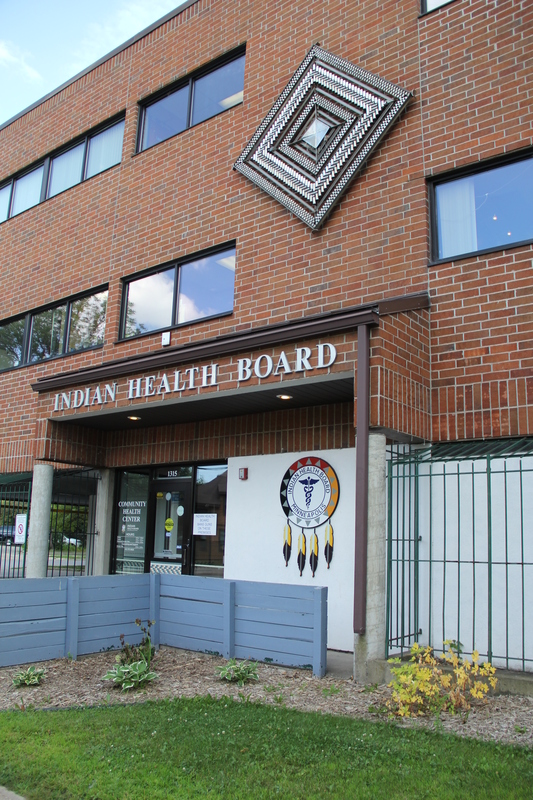 The Indian Health Board was incorporated in 1971 to serve the health care needs of American Indian people living in Minneapolis and St. Paul. 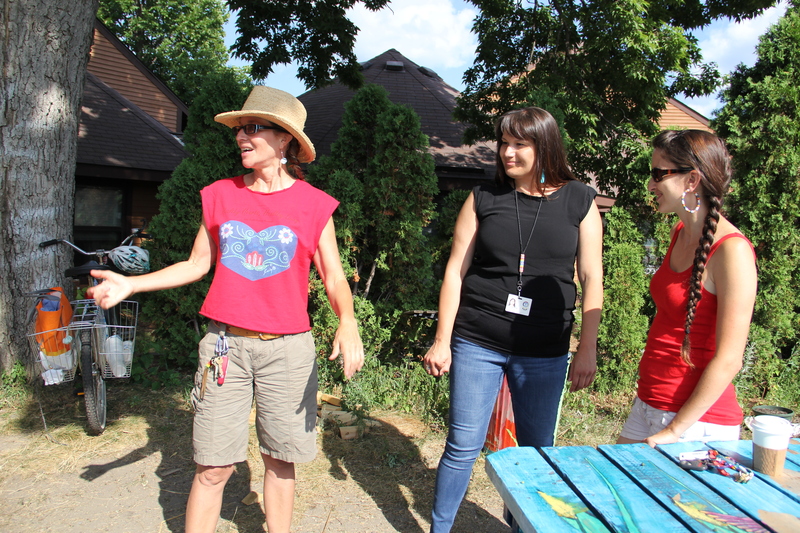 On August 13 we had the opportunity to visit with Lannesse Baker (Anishnaabe) who at the time was a program manager at IHB (in October she accepted the position of executive director of the Native Youth Alliance of Minnesota), as well as Christina Elias, the head farmer at the Mashkiikii Gitigan garden. 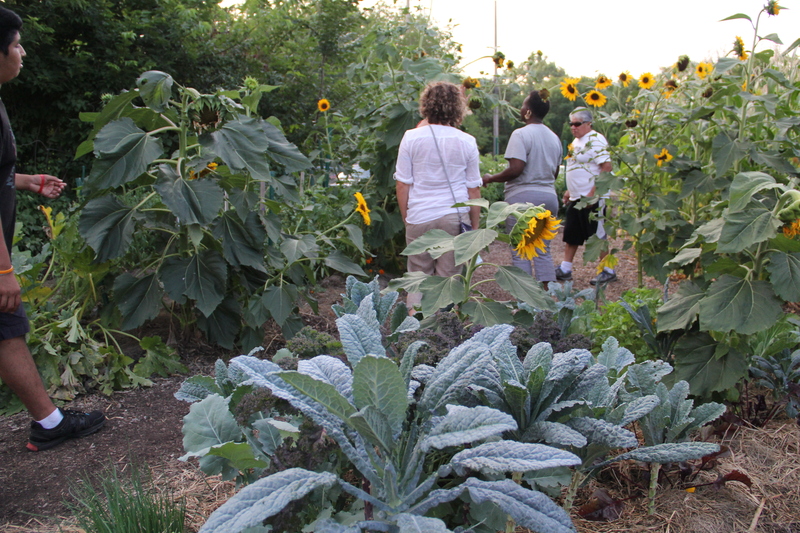 The garden has been funded through an assortment of grants. The Indian Health Board is one of 12 urban Indian clinics selected by the University of Colorado Denver to partner on a CDC (Centers for Disease Control and Prevention) Racial and Ethnic Approaches to Community health grant, which is working to eliminate obesity and the chronic conditions that result from obesity (primarily diabetesand heart disease). IHB uses funding from this initiative to support the garden. Last year Mashkiikii Gitigan was also chosen to be part of Phillips Healthy Living Initiative funded by Blue Cross Blue Shield, which provided staffing and increased the capacity of the project. In addition to providing funds for Christina as the head farmer and Annelie Lindgerg-Livingston as the administrative coordinator, it also made it possible to bring in 47 tons of compost, as well as tools, seeds, tables and raised beds. The head farmer at the site is Christina Elias, a Mexican-American former public school educator who has been involved for over a decade in the Native American community in Minneapolis, and around the country. Christina and her partner, Ernie Whiteman (Arapaho) live in Minneapolis in the summer, and travel around the southwest in their “mini-Winni” (Winnebago camper) in the winter. Ernie has worked for several years at the Dream of Wild Health farm (stayed tuned for our post about our visit there). 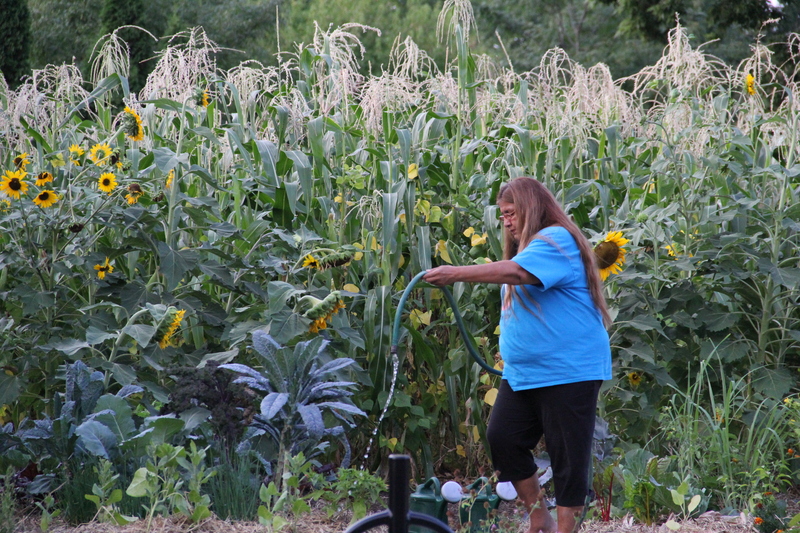 Christina had been wanting a space in the city to garden, and got started with the Good Juju Garden, which she began in 2009 on a vacant lot owned by the American Indian Community Development Corporation. She managed that garden for free, and still keeps it running. But she was also looking for a paying job, and was thrilled when she saw the add for a head farmer for the new garden being established by the 24th St Coalition. She and Ernie were in Taos at the time, and drove through several snow storms to make the interview in Minneapolis. Before the interview, she drove past the lot where the garden was to be constructed. Her first reaction to the barren lot was, “Oh my god! Does anything grow here? It was pretty dramatic.” That was two years ago, and since then Christina and all of the garden participants have harvested thousands of pounds of produce from this lot. Upon arriving at the garden in the spring of 2013, Christina’s first step was to tear down all of the fencing that had been around the plot. 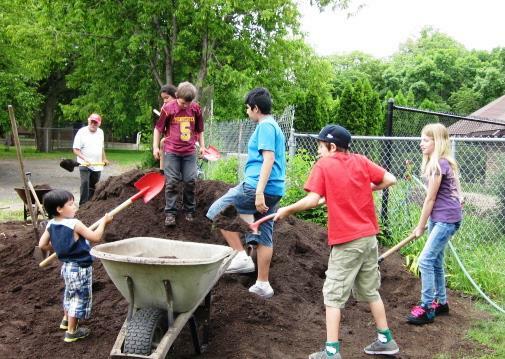 “If we want to have a community space and want people to feel welcome, we don’t want to scream ‘stay out.’ We want it to be inviting.” With the help of kids with shovels, she leveled the soil on the property and brought in 47 tons of compost from the Shakopee Organics Recycling Facility. 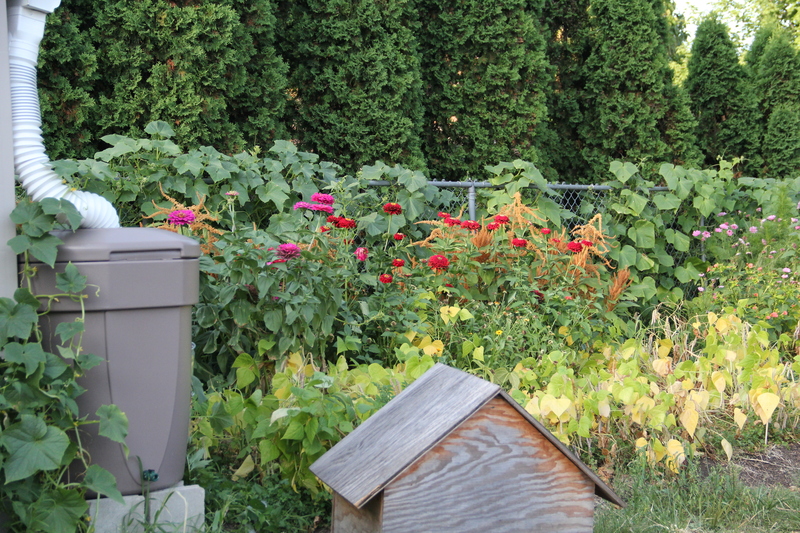 Prior to the establishment of the garden, the EPA came and tested the soil, and found asbestos. According to Lannesse, they dug out two or three feet of soil, and replaced it with clean soil. The addition of 47 tons of compost over the new soil helped to relieve the concerns of some residents about planting in this space, and provided a rich environment for new growth. In designing the garden, Christina was sure to make note of where the walking paths through the property were, in order to work around them rather than block them. In repurposing the site while respecting previous “deer paths” as she called them, Christina was able to successfully avoid a similar fate for this garden. From the start Christina also wanted to add picnic tables to the site, but the neighbors were worried about them being vandalized, and “riffraff” hanging out there late at night. 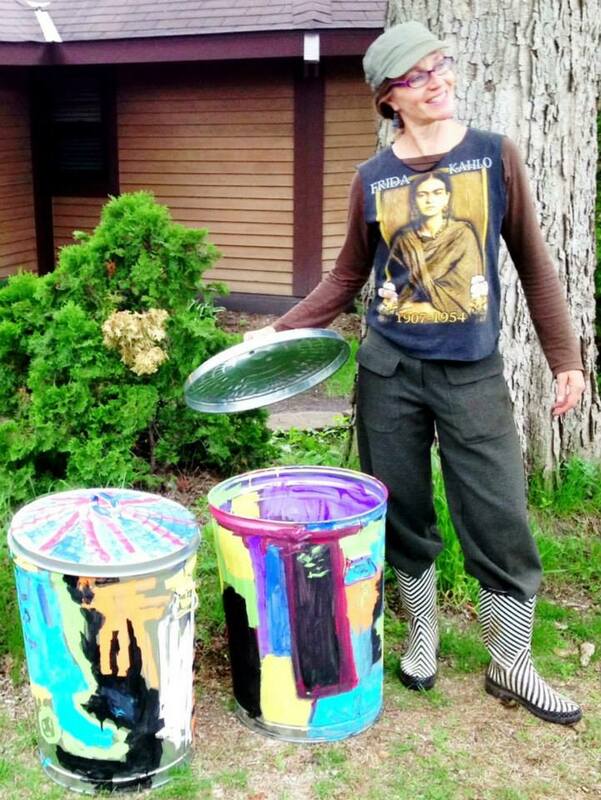 So they started with garbage cans that local kids decorated. When no one bothered the cans, Christina negotiated with the neighbors to try tables. People started to graffiti the tables, and so Christina and Lannesse hosted an art day, and artist Jonathan Thunder worked with the local youth to decorate the tables. No one has vandalized them since. The garden is now home to a rich variety of plants (over 80 types! ), including Native foods like Oneida Corn, Hopi Turtle Beans, Hidatsa Shield Beans, Cherokee Trail of Tears Beans, Gete-okosomin squash, and perennials like Juneberries, chokecherries, asparagus, herbs, sunchokes, and camassia flowers. The site also grows medicinal plants, like sweet grass, sage, cedar and traditional tobacco. The corn and beans grow in a spiral, which not only maximizes the space, but looks beautiful and provides some people with a spiritual refuge in the center. 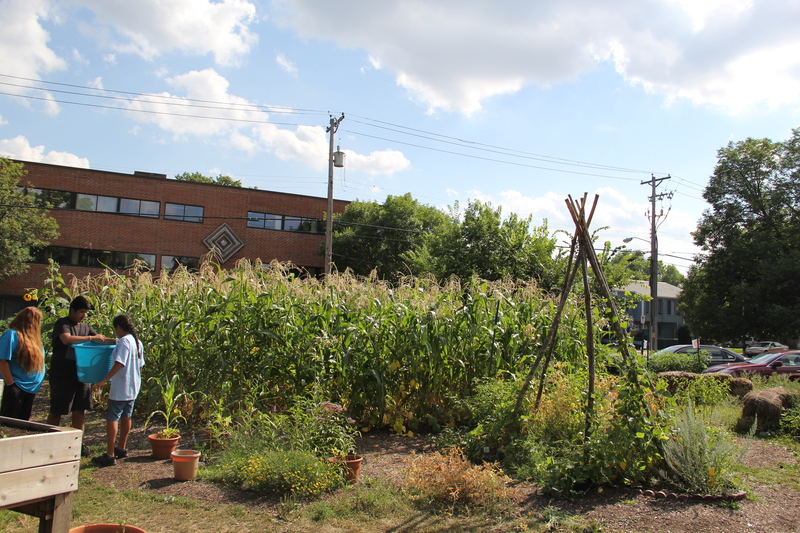 Christina is convinced that the corn spiral has contributed to the positive energy of the space, which has been productive in terms of growing food crops (1,442 pounds of food in 2014) as well as community relationships. 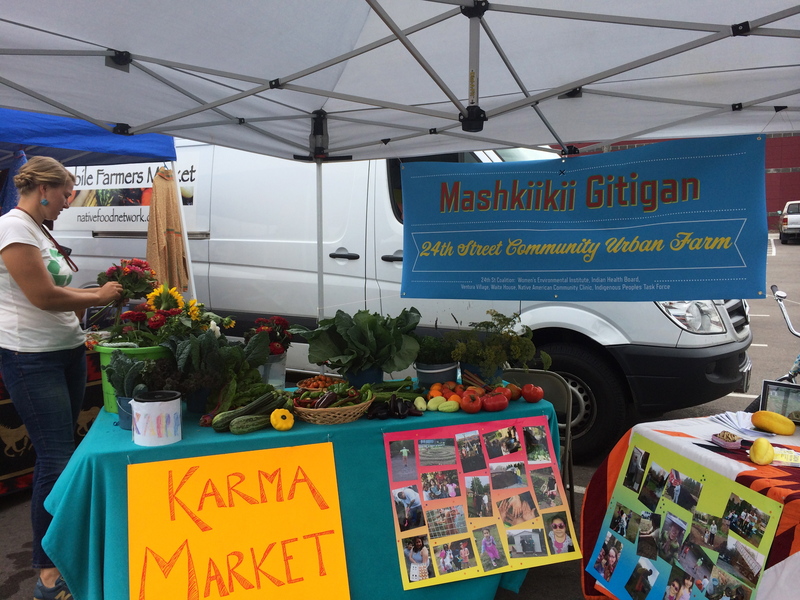 Christina not only provides people a space to get their hands dirty and take home fresh produce at Mashkiikii Gitigan, but also provides technical assistance to neighbors who want to start their own gardens. 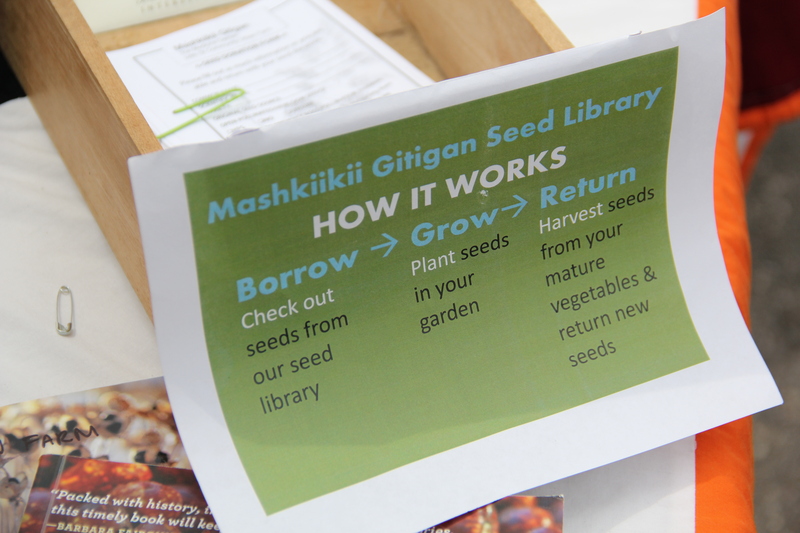 Every Wednesday evening from mid-May through October, the Mashkiikii Gitigan garden hosts “Grow Your Own” classes. During our visit, we had the opportunity to participate in class about composting, learning how to construct and maintain different types of compost piles, and trying our hand at turning the one on site. The classes are not just about gardening, but also include other topics relevant to Native health and food culture, including wild rice harvesting, fishing, maintaining healthy blood pressure, sugar consumption, and on commercial vs traditional tobacco. Each class features different guest speakers, and includes a native cultural element as well as scientific information. 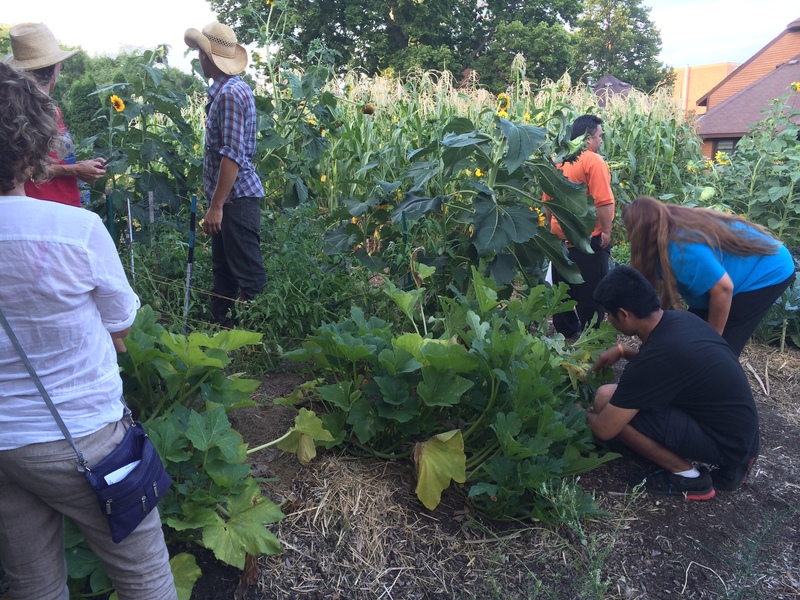 Aside from the classes, other local programs utilize the garden space for their constituencies. The 4H program uses the space for gardening classes. The Native American Community Clinic brings clients from their diabetes prevention and heart healthy programs. The Minnesota Indian Women Resource Center also brings women from their programs to participate in classes and help with harvesting. In their first year, the garden brought 750 visitors. 2014 brought nearly double that—1,491 visitors. People who are not affiliated with the various programs mentioned above hear about the garden through word of mouth, or through the 40 community events that Christina and Lannessee have taken part in. As Lannesse described, the focus of the project has been as much on building relationships as on gardening . 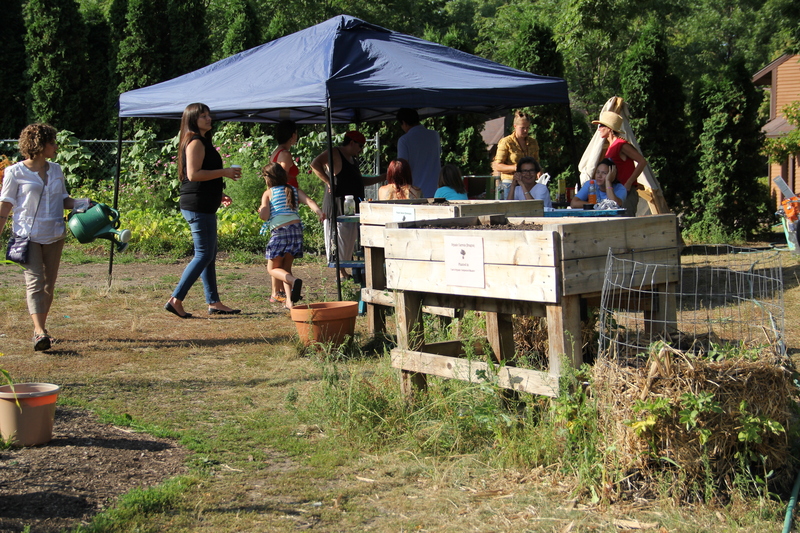 She pointed out that through developing “collaborations with people who are not traditional messengers related to health or food or even farming,” like artists and musicians who have held events in the garden, they have been able to attract people who might otherwise not have known they were interested in gardening. The focus of the garden, and its target audience, is the Native community, although Christina is quick to point out that no one is turned away who is interested in participating. The day we were there, there were several helpers from the local Native community, but also Russian, Mexican and Jamaican individuals, as well as a group of deaf neighbors of various ethnicities. 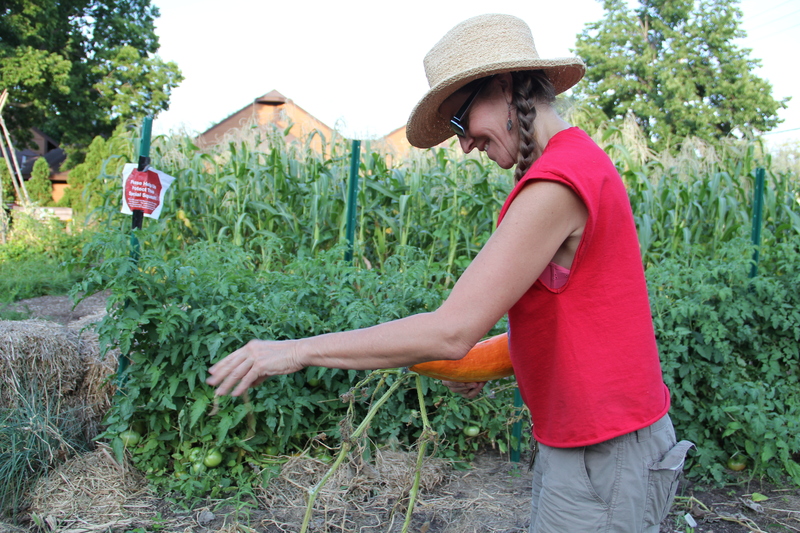 Because Christina is bilingual (English/Spanish) she works to include Spanish speaking neighbors, especially recent immigrants who are missing their home farms and gardens. 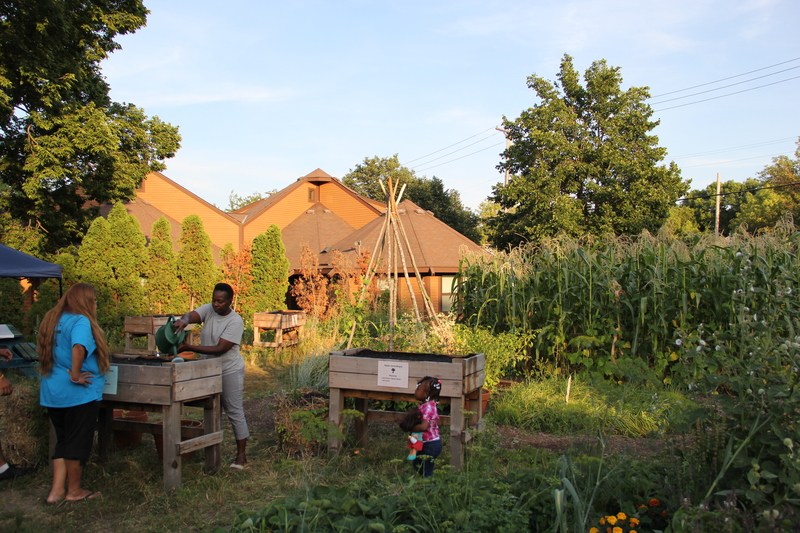 The produce from the garden is utilized around the community. Maskiikii Gitigan has a collaboration with Austin Bartold, a Native chef at Waite House, which has a community café that serves free healthy lunches to low-income adults and children from the neighborhood. Last year, he served 12,000 meals, many of which integrated the produce from Mashkiikii Gitigan. 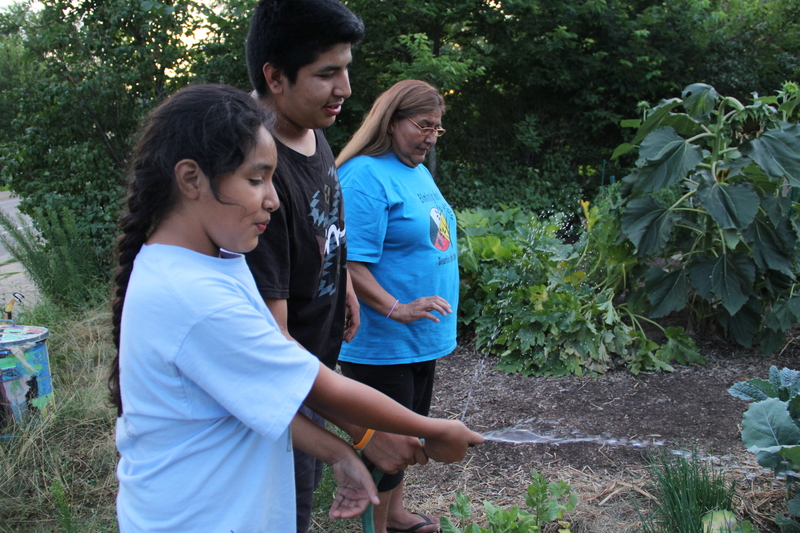 He does serve-safe certifications with native kids from the Youth Program in the neighborhood, who then come to the garden to learn about herbs and how to incorporate them into meals. 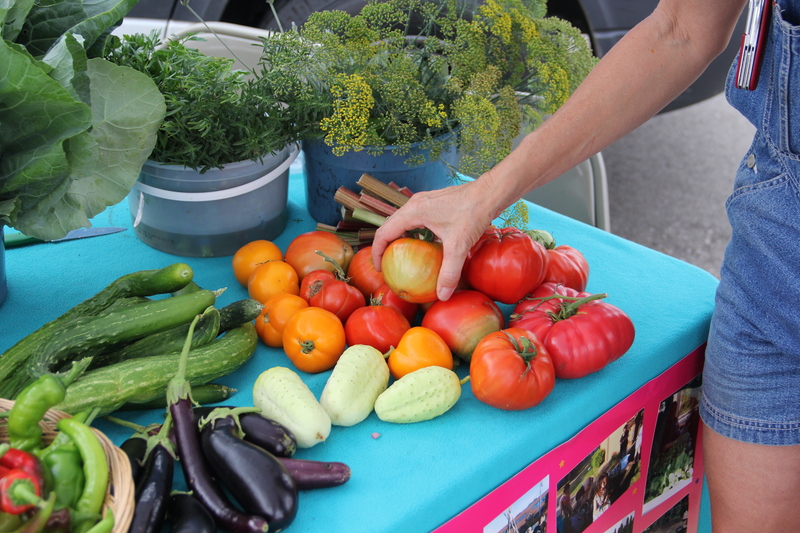 The garden’s produce is also “sold” at the Karma Market, which is sometimes set up in the garden and sometimes at community events, and where produce is sold for as much as the consumer decides to pay for it. The Karma Market table also offers a seed exchange although Christina became concerned with the fate of this project when she read an article about a seed library being shut down in Pennsylvania. The idea was for people to have free access to seeds, and if they were experienced enough seed savers, to then return seeds at the end of the planting season. Another article recently appeared about a seed library in Duluth that suffered a similar fate. The Minnesota Department of Agriculture determined that the library violates the state’s seed laws because it does not test seeds. Anyone who sells, trades or exchanges seeds in Minnesota must follow state rules that require proper labeling. They also must pay a $50 permitting fee and have the seeds tested to make sure they germinate properly. Labs typically test up to 400 seeds to get a scientifically valid result, which would be impossible for a small seed library. Unfortunately, laws meant to regulate commercial seed companies are now being blanketly applied to community seed exchanges. We will have a whole series of posts in the coming months about seed saving and exchanging in Native farming projects. 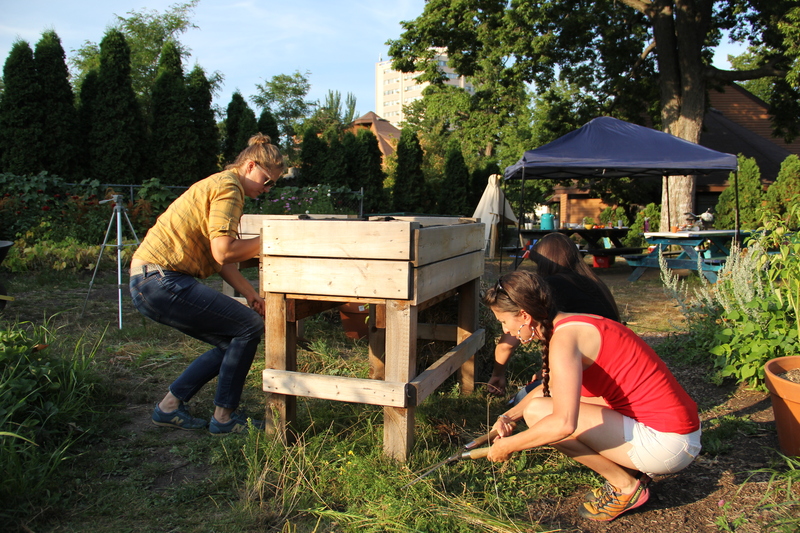 Even though the Mashkiikii Gitigan garden is only in its second year, they’ve made amazing progress, from an empty lot to a garden oasis in the city, which has hosted over a thousand people, and provided food and education for many.